It’s a love / hate thing right? You’re in love with it but you know what all that sugar does to your body, your skin and your energy level. 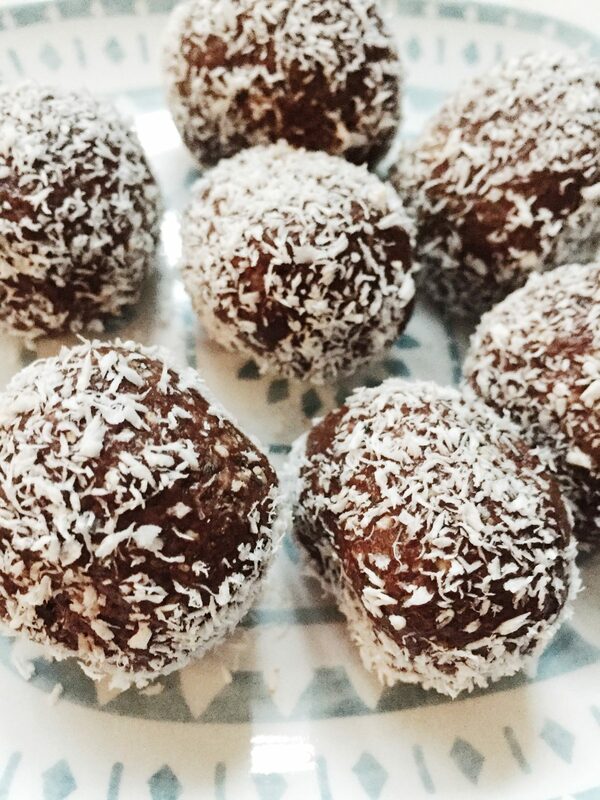 Enter these little healthy dessert cocoa balls to get your sugar fix without all the guilt. I almost always crave a little something sweet after lunch or dinner. 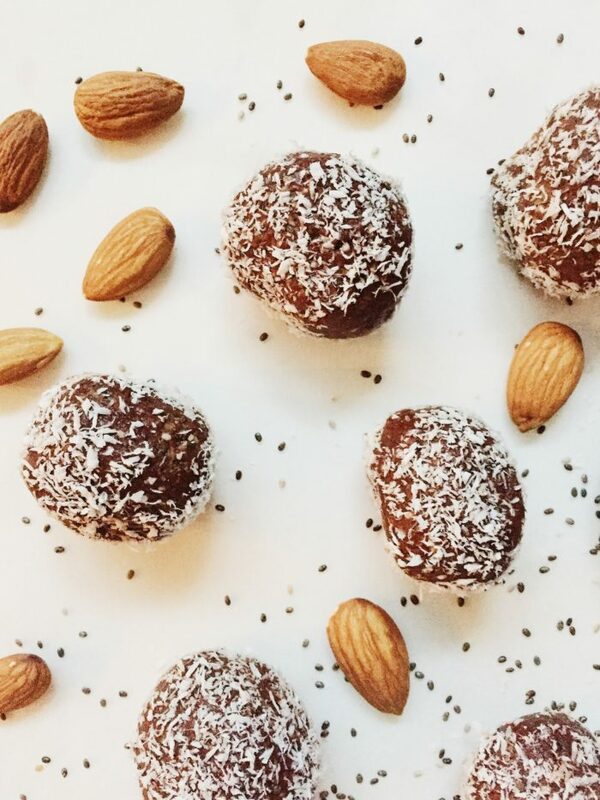 These little guys are perfect because they are full of healthy fat (almonds, coconut oil, chia seeds), protein (almonds and protein powder) and are sweetened naturally. I use Vega Protein Powder because it is a plant-based protein naturally sweetened with stevia (zero calorie and comes from the stevia plant). This protein powder is sweetened enough that I don’t add anymore sweetener to this recipe. Note: This post contains affiliate links. If you purchase a product through one of the links on my page, I’ll earn a small commission at no extra cost to you. I appreciate your support! Almonds: Healthy fat that reduces cholesterol and fills you with fiber. Cinnamon: Has been known to help lower blood sugars and help prevent heart disease. Coconut Oil / Shredded Coconut: Don’t let the high percentage of saturated fat scare you, it is shown to reduce cholesterol and reduce injury to the arteries. It also has immune-boosting properties. Cocoa Powder: cocoa beans are ground so the fat is removed and results in powder. It’s low calorie and heart healthy. I throw a cocoa ball into my lunch box for a little sweet fix after lunch or in the afternoon when you start to get that sugar craving. It satisfies while keeping you on track. This is yet another recipe where my mini food processor has come in handy! If you don’t have one, I highly recommend it! I’ve had mine for 8 years and it’s got plenty of life left in it! This is the one I use. Add the almonds to a food processor and pulse into fine crumbles, about 30 seconds (I love my mini food processor for recipes like this). Add the rest of the ingredients except for the coconut oil and shredded coconut. Pulse another 10 seconds until combined. Add half of the coconut oil and pulse 10 seconds. Continue to add in coconut oil until the consistency is wet but it’s still clumping together a bit. Sprinkle the shredded coconut onto a piece of parchment paper. Form little balls with the cocoa mixture and roll in shredded coconut. Put them in the fridge or freezer for 20 min to set. Store in a tupperware. This gray and dreary day in Minneapolis has me craving all things bright and cheery. Food can be so pretty. Don’t you love when your food has all different colors and textures in it? Food is art. And salsa is so pretty! 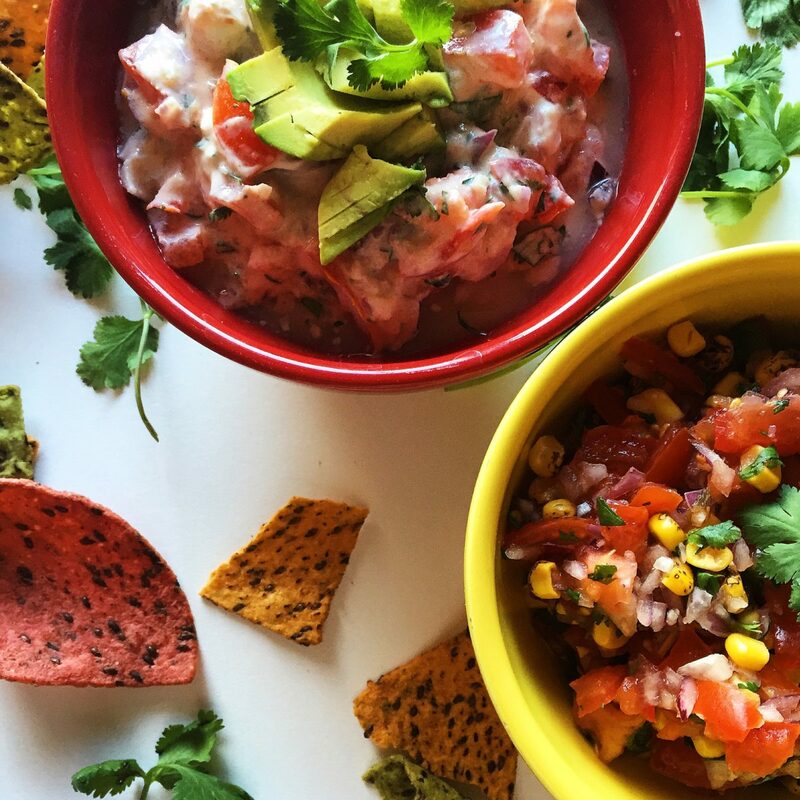 I’ve come up with 3 different salsas: traditional, creamy and mango. 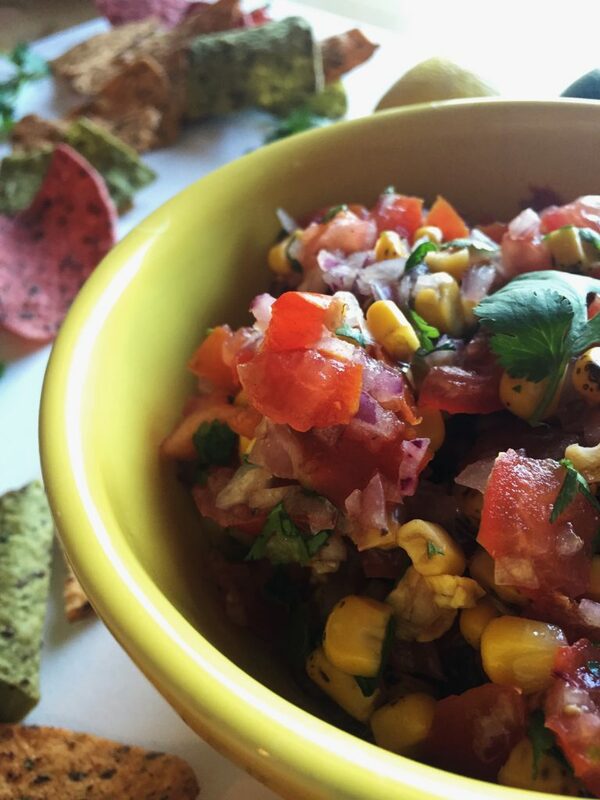 Traditional salsa is pretty standard but SO good with fresh ingredients! Add more jalapeno if you likey da spicy. The creamy salsa is my favorite! It uses greek yogurt to make it smooth and creamy. All the other flavors take over the yogurt flavor so it’s awesome. Added bonus: extra protein! 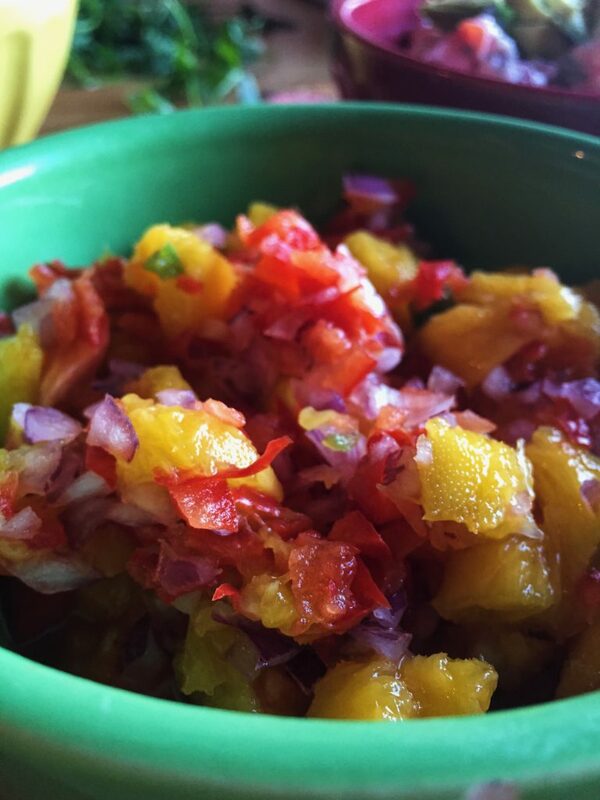 Mango salsa is a sweeter salsa. Substitute mango for strawberries if you wish! Chop ingredients and mix together! It's best when it's been sitting in the fridge for an hour or so before serving so the ingredients have time to blend together. Serve with chips! 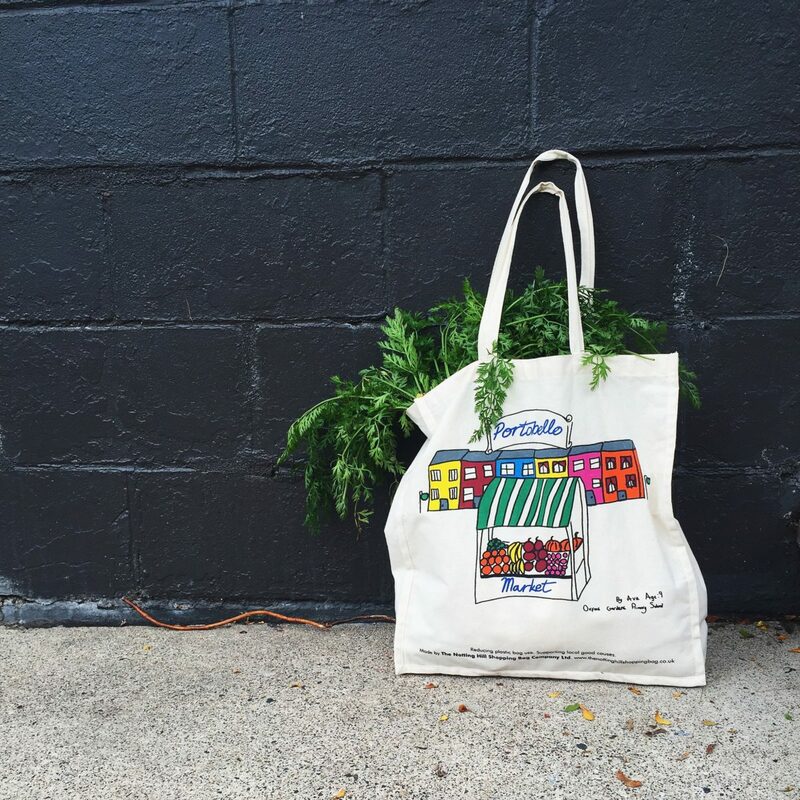 What comes to mind when you think of your local farmer’s market? I think of cucumbers, which makes me think of pickles! They’re one of my favorite things to get. You can get so many of those little guys for cheap. Cucumbers are made up of 95% water and pack plenty of vitamins. There are so many fun things you can do with this healthy and refreshing veggie, but today I’m going to talk about PICKLES. Whether you slice them for sammies, use it as a garnish or just eat it for a snack, they are delightful. Trav and I like to experiment with flavors by adding different ingredients to each jar. The typical pickle has dill and garlic, but try adding basil, rosemary, jalapeno or habanero to (literally) spice things up or create a different flavor. Cut off the ends of the cucumbers to help keep them crisp. The ends hold onto a lot of water and can make them soggy if you leave them on. Keep some whole and/or slice some (horizontally or vertically) for sammies, burgers etc. Make sure you get the cucumbers that are small and bumpy. The smooth and waxy kind do not work for pickles. 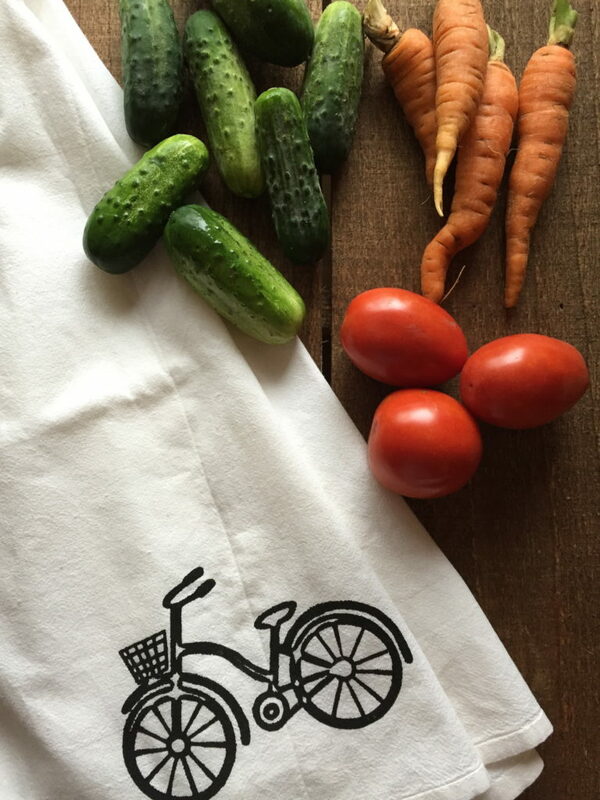 Now grab your farmer’s market bag and fill it with the best little cucs you can find! Bring H20, Vinegar and Salt to a boil. Mean while put pickles into a mason jar. 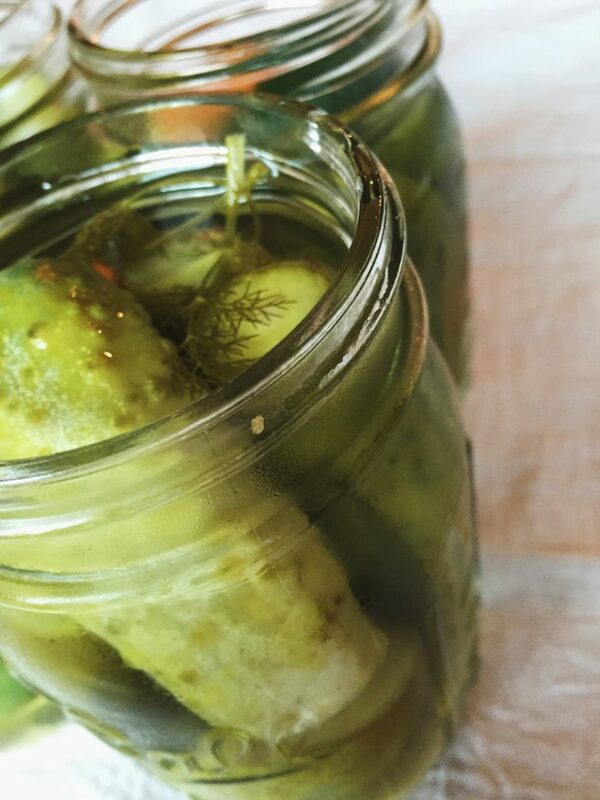 Hint: Cutting of the ends of pickles will supply that crunch you desire! Peel and crush garlic with the edge of your knife. Don't mince the garlic just squish it once or twice with the flat side of your knife. Add garlic and herbs of choice to jar and pour salt/vinegar/H20 combo over the cucumbers. This one was SO much fun to put together! 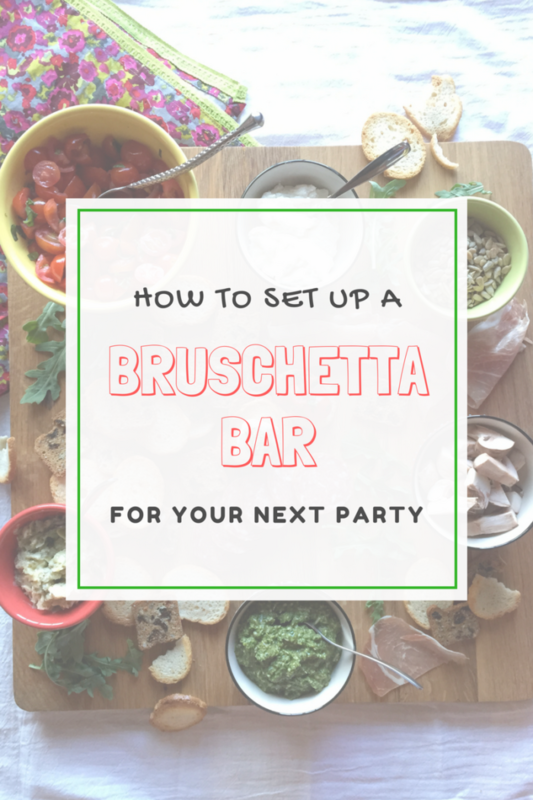 I love this idea of a bruschetta bar because it lets you get creative. 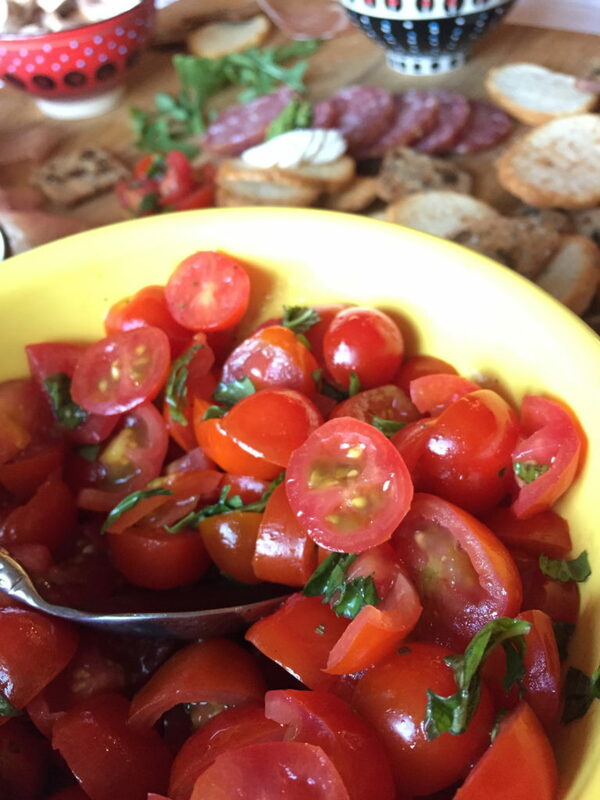 When I think of bruschetta, I think of tomatoes on top of bread, but it is so much more than that! Think Italian. Think cheeses and meats. Think spreads and toppings. It can be whatever you want it to be. 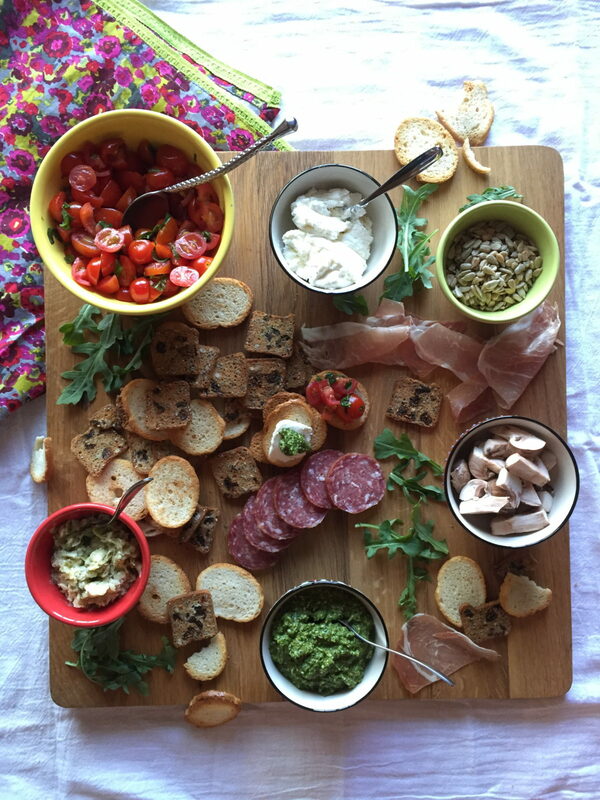 I used a large cutting board to lay out all of the spreads, meats and toppings. This is an awesome appetizer for entertaining a group of people. The girls and I thoroughly enjoyed it along with a few glasses of wine! Isn’t it beautiful?! Below is my recipe for each homemade item of the bar. But I definitely encourage you to get creative and dream up something yourself! Combine cheeses in a food processor and blend for a couple minutes, long enough for the cheeses to become almost more fluffy/whipped. 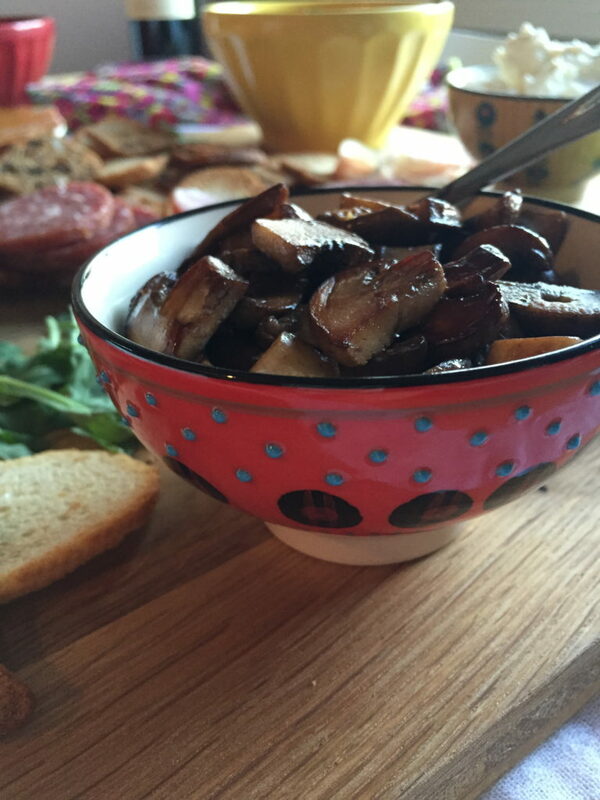 Sautee mushrooms in a pan with olive oil. Season with salt and garlic powder. They will shrink down quite a bit so start with more than you think! You can always use fresh garlic in place of garlic powder. 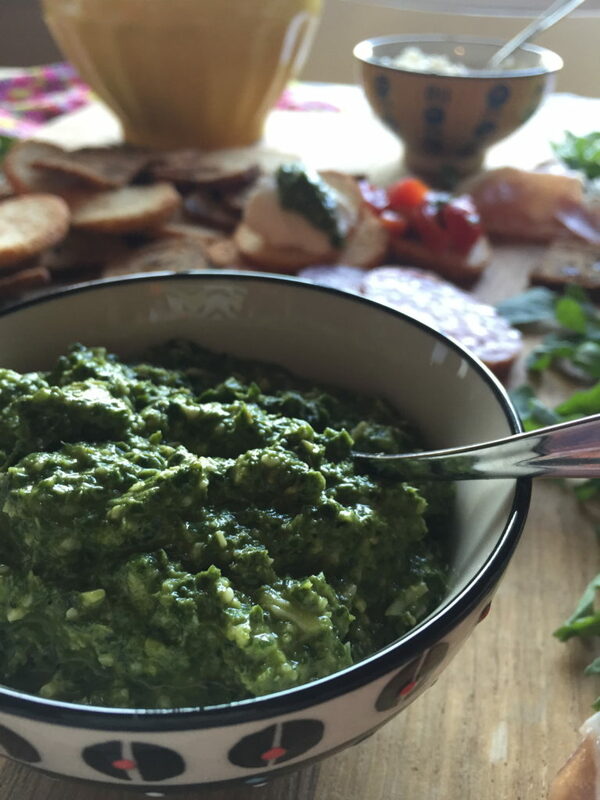 Click here for my recipe for fresh homemade pesto. 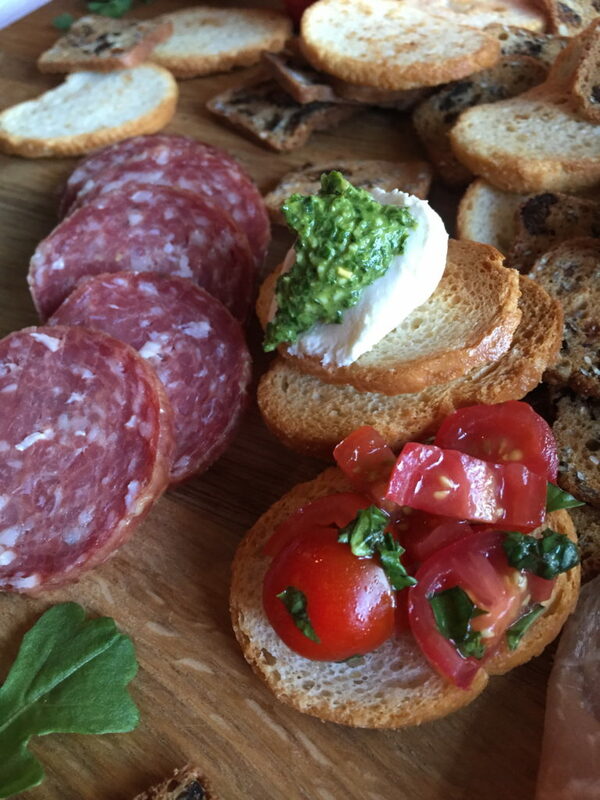 Choose whatever crostini’s or breads sound good to you. I used Raisin Rosemary Crisps from Trader Joe’s and Garlic crostini’s by Archer Farms. Fresh bread would also be delicious! To get fun recipes like this sent to your inbox sign up for my newsletter!